Like the royalty of the forest that these beautiful pines are they stand out and make their presence and strength known regardless of the conditons. 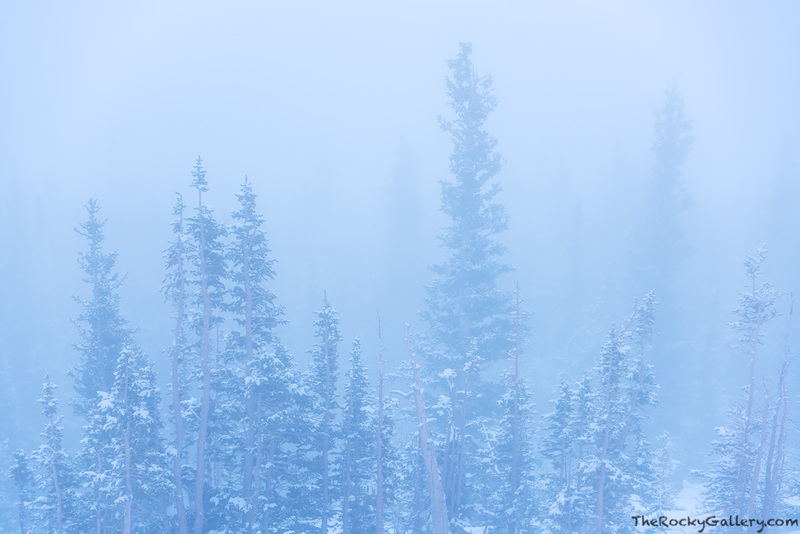 Even on a foggy, snowy morning in May these trees make an indelible impression on the landscape of Rocky Mountain National Park. Photo © copyright by Thomas Mangan.